Here’s hoping you all can look back on a good 2013 and that we can look forward to a better 2014. 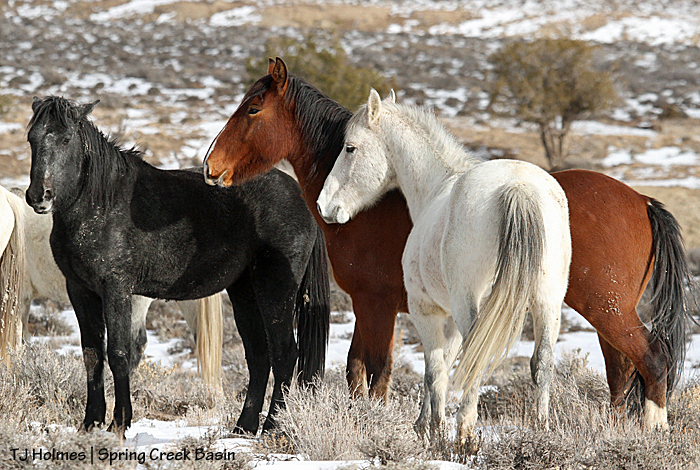 While our mustangs in Spring Creek Basin fared pretty well – especially once the rains finally came in the second half of the year – many of our country’s other mustangs lost their families and freedom forever. 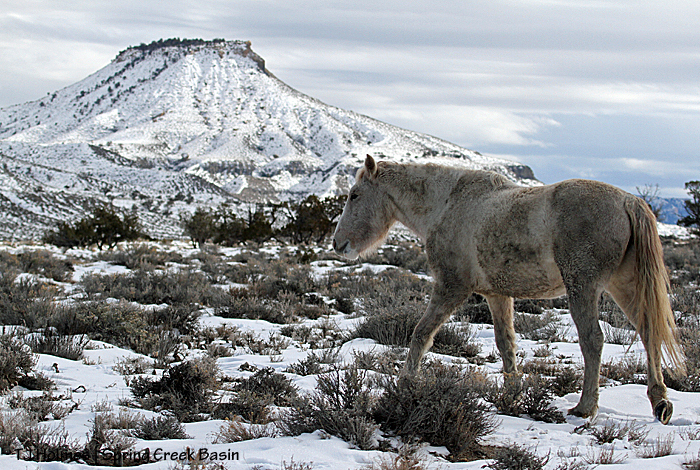 And America’s mustangs aren’t the planet’s only wild horses under fire. 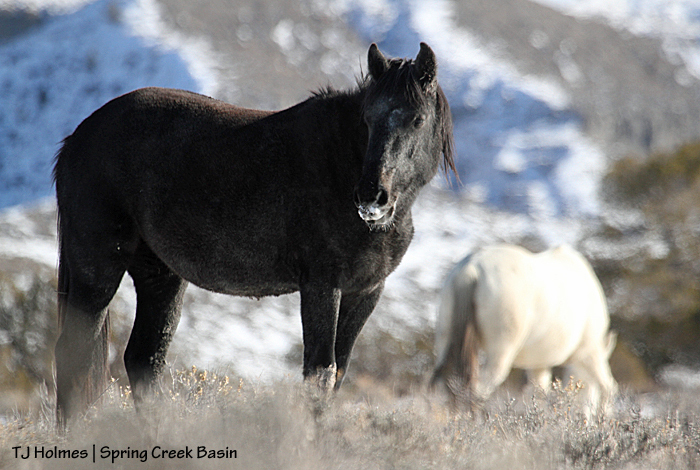 … And not only wild horses are at risk of abuses at the hands of humans. 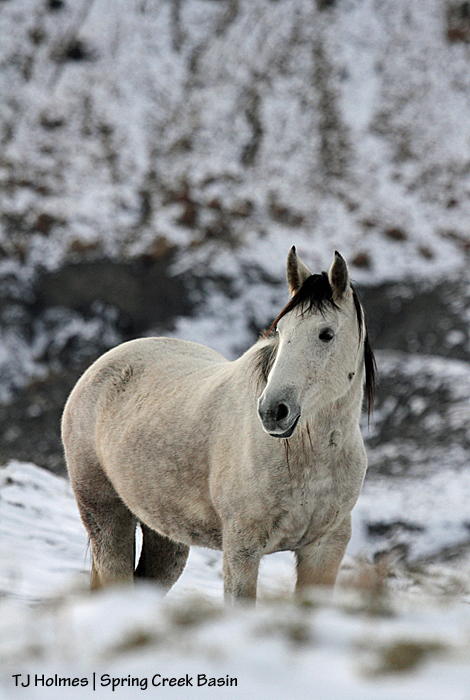 It’s up to us to give our horses clear voices that reach around the world. 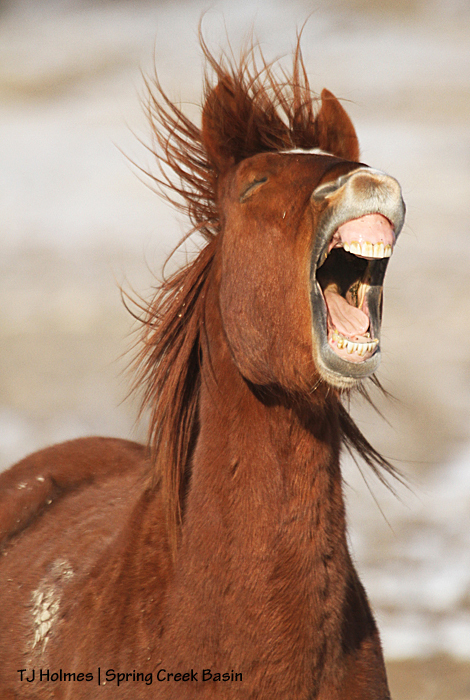 It’s the Year of the Horse, after all! In the few days since this photo was taken, most of the snow has melted. We do need more snow. It has been warm and melty, and snow mud has become mud soup. Can’t deny that the days have been gorgeous, but I’d like to order some heaping helpings of snow! Grey/Traveler got a pony for Christmas! Sometime in the last few days, he acquired Shane. His other girls seem to accept her right into the family. The mister still is going strong. 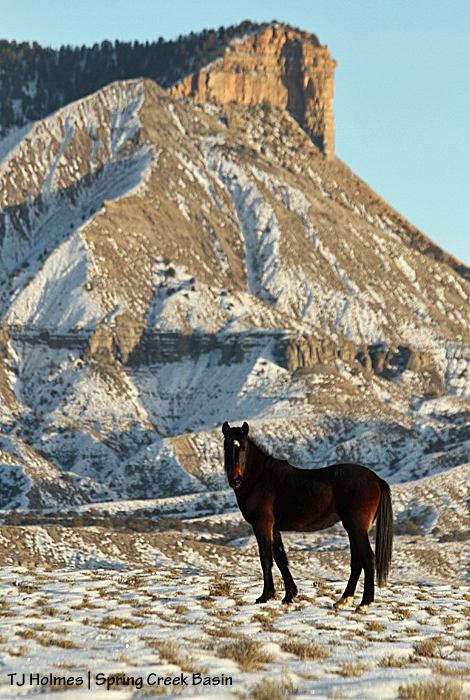 … is that these mustangs know freedom and wildness always. Many thanks to all of you for supporting our Spring Creek Basin mustangs. 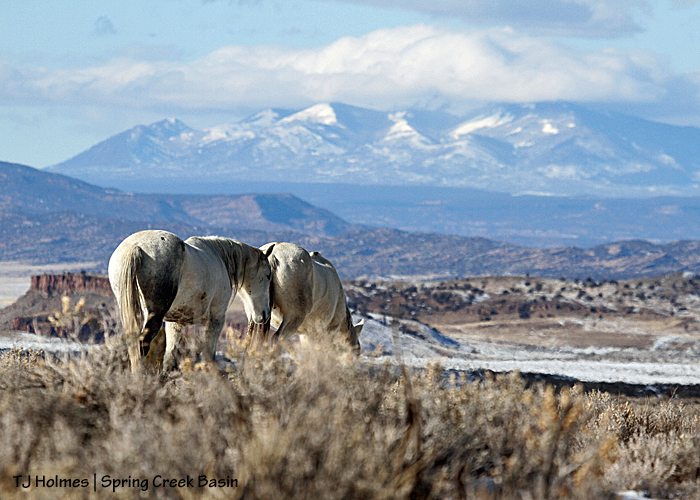 May you know peace and wildness in the coming year. Cassidy Rain with two of Spring Creek Basin’s most prominent landmarks in the background: McKenna Peak (though it’s hard to distinguish from this view) and the unnamed promontory. Classic wildness. Happy solstice (yesterday)! Now we begin the rise from the dark of winter to the light of spring. On the solstice in Disappointment Valley, it snowed. I like to take that as a good sign of moisture to come.